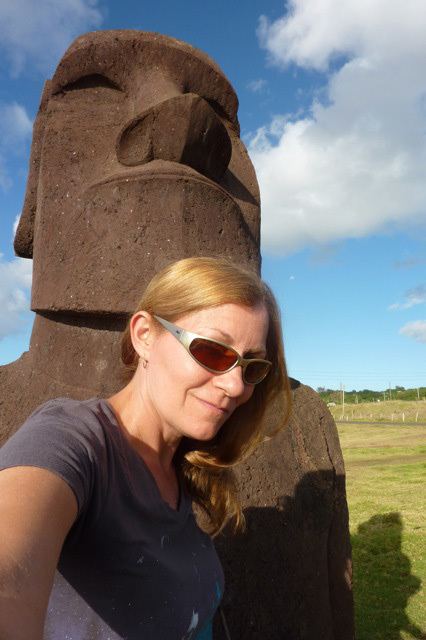 I headed back to Tahiti on the once-weekly flight from Easter Island/Rapa Nui. Leaving felt a little weird, like I'd just started to figure out this little-town-turned-tourist-attraction and then it was time to leave. My adorable French-Rapa Nui family left me at the airport with some kind of feather charm that mean I was destined to return. "Je vais rentrer," I said clumsily. They smiled politely. Maybe they understood. 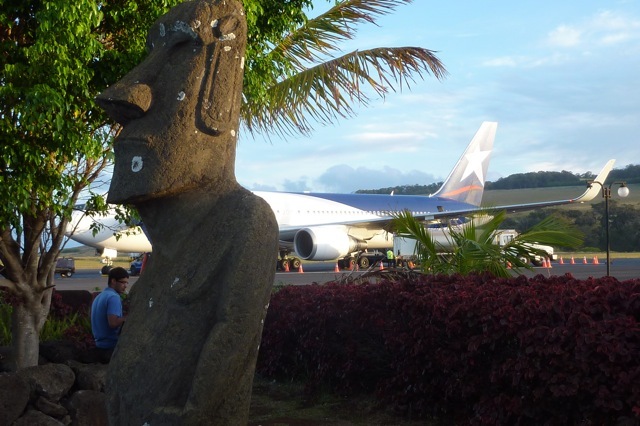 And now I am back in Tahiti, about to board the Aranui 3 freighter for two weeks sailing the Marquesas. I'll have internet intermittently. Like *really* intermittently, and slow at that. In fact, it may seem like I'm dead. But I'll post when I can, and I can post from my phone if I can find a signal. Check the Twitter feed at the middle right of this page to get my most current status. Thanks for the inspiration. I cannot imagine making a journey like this once, let alone twice. And, great photography!